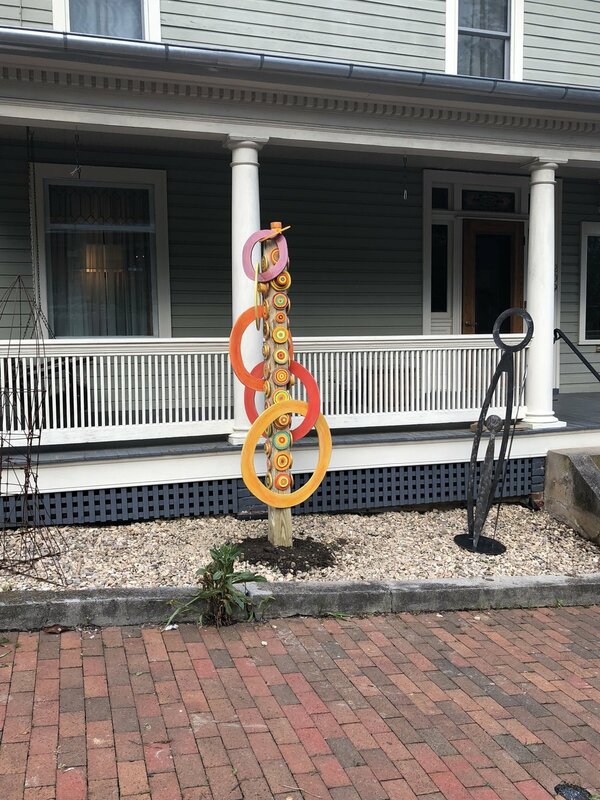 Tom asked me for a sculpture to place in his front garden, with one requirement only: make it colorful. Used my new angle grinder to sculpt a 6" x 6" post, and then cut out lots of circles and rings. The circles on the post are attached with dowels, so you can mix and match and change them around. Really fun to create. Can't miss Tom's house in Staunton, VA now!